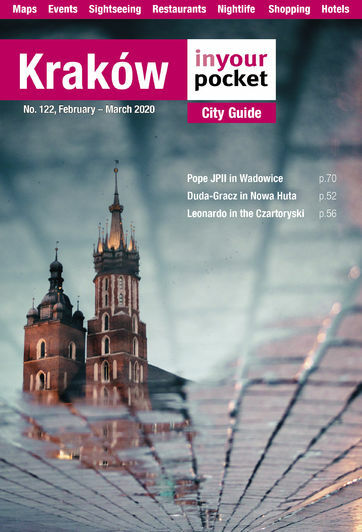 From July 26-31 Kraków will welcome millions of young <a href="http://www.inyourpocket.com/krakow/krakow-for-catholic-pilgrims_74290f">Catholic pilgrims</a> as the host of the 2016 <a href="http://www.inyourpocket.com/krakow/krakow-for-catholic-pilgrims_74290f">World Youth Day</a>. Attended by Pope Francis, this year’s theme is “Blessed are the merciful, for they shall obtain mercy” (Mt 5:7). A detailed programme for the festivities had not been disclosed or finalised at press time, but below is a basic outline of dates and events.<br /> <br /> <strong>At Błonia Meadow</strong>:<br /> Tue, July 26: Opening Mass performed by the Archbishop of Kraków, Cardinal Stanisław Dziwisz<br /> ​<br /> Thu, July 28: Papal Welcome with Pope Francis<br /> <br /> Fri, July 29: Stations of the Cross<br /> <br /> <strong>At Campus Misericordiae</strong><br /> (located between Kraków and Wieliczka):<br /> Sat, July 30: Arrival of pilgrims on foot to the vigil site.Evening vigil with the Holy Father in front of the Most Holy Sacrament<br /> <br /> Sunday, July 31: Closing ceremonies; final Mass by Pope Francis and announcement of next WYD host<br /> <br /> <strong>Other events</strong><br /> Catechesis: Preached in different languages by bishops from around the world on Wednesday, Thursday, and Friday, the topic of the teachings will be closely related to this year’s theme. All catechesis sessions include Eucharistic celebrations.<br /> <br /> Youth Festival: A religious, artistic and cultural program giving pilgrims the opportunity to take part in concerts, exhibitions, workshops, sporting events, and theatrical performances. Events will take place Tuesday through Friday.<br /> <br /> Vocations Centre: Religious congregations, Catholic schools and universities, religious publishing houses, missionary organisations, and other communities will be presenting their work and giving advice to those considering joining the clergy, a convent, or becoming missionaries. The center will be open Tuesday through Friday.<br /> <br /> Meeting of Volunteers with Pope Francis: All those who helped organise and run the huge event will be invited to a special meeting with the Holy Father on Sunday.